I would like more information about 3413 W 190th St, Torrance, CA 90504 MLS #OC19067824. 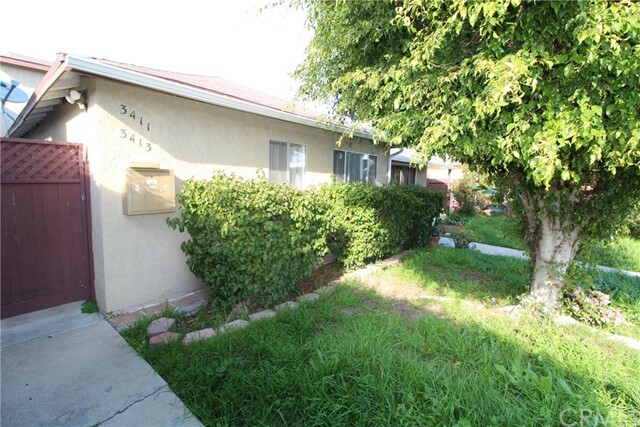 Great income producing property in Torrance. All utilities for the individual units are separately metered, the back house was built in 1991, and the front of the house has been updated ensuring this property produces great rent. The front house features tile floor, granite counters, and great lighting. The back house features its own private entrance, lots of natural light, and sits above the garages. Each house has a two car garage. The property on 3413 W 190th St, Torrance, CA 90504 is listed for $949,000 as MLS #OC19067824. This 0 bedroom, 0 bathroom sqft Duplex built in 1951 located in Torrance, CA 90504. For more information regarding this or any other property in Torrance, please contact us at (424) 272-1339.